Hotels are listed in order of walking distance from Union South, however many hotels offer complimentary shuttle service to campus. The 60 boutique-style guest rooms include extended stay suites complete with kitchenette and living area—each decorated with thoughtfully selected furniture and artful decor. Rooms provide spectacular views of historic Camp Randall Stadium or downtown Madison, Union South Plaza, or the 10,000 sq. ft. green roof, putting you at the center of the vibrant UW-Madison Campus. Wisconsin Union Members are eligible for a member-exclusive discount on Wisconsin Union Hotel stays. Hotel parking spaces in Lot 80 (most on B1 level, with some on B2) under Union South are available and guaranteed from 3:00 p.m. on the day of check-in to around 1:30 p.m. on the day of check-out. Check-in starts at 3. The Fluno Center provides a lodging experience unlike any other. If you’re looking for overnight accommodations in Madison, WI, we provide 100 well-appointed guest rooms for program participants, UW-Madison alumni, UW Foundation donors, parents of past, current, and future students, corporate partners, and other guests visiting Madison and the UW campus. Our guest rooms are located on the fourth through seventh floors and complement the Prairie Style design and comfort of the Center’s main rooms. The Fluno Center is 100% non-smoking. Just a few blocks from UW campus and walking distance from Memorial Union and State Street, steps from the shopping, dining and vibrant nightlife of downtown Madison; Lowell Center’s comfortable guest rooms and modern amenities promise a pleasurable getaway. Guests enjoy free breakfast buffet, free parking, free wifi, exercise room, sauna and the area’s largest indoor pool. Whether you are bringing your student to campus, coming for a Badger game, or just visiting UW Madison, Lowell Center is everything you need to unwind at the heart of the UW’s beautiful flagship campus. Lowell Center is the favorite lodging choice for parents! Discount Available: 15% off best available rate for SOAR. Please call the hotel direct at 608-251-5511 and reference the SOAR discount. Graduate Hotel Madison has the best taste of how Wisconsin feels. The lobby has a living room feel while the guest rooms take you back to your college days. You’ll find us conveniently located on the edge of campus nestled between the shops and stops of Madison on State Street. Overlooking the historic Capitol building, our hotel in Madison is also located just a short stroll away from Memorial Union Terrace. Here’s where you’ll find the inside scoop on our favorite spots in and around town. If you don’t find what you’re looking for on the map, stop by and we will steer you in the right direction. Graduate Madison also offers complimentary shuttle service to and from Dane County Airport and complimentary wifi. Discount Available: 20% off of our Best Available Room Rate. https://gc.synxis.com/rez.aspx?Hotel=77206&Chain=21643&promo=SOAR. The Best Western Plus InnTowner Madison has just completed a multi-million dollar renovation of its 176 guest rooms with new carpet, pillow top mattress bedding, 42-inch flat screen televisions, iHome® clock radios, and new furniture in each guest room. Located in the heart of Madison, you’re sure to feel right at home while you’re here at the Best Western Plus InnTowner Madison. Our convenient location, close to downtown and the University of Wisconsin – Madison Campus, allows for quick and easy access to a wide variety of destinations in Madison. In addition, our residential neighborhood setting provides a sense of calmness while you’re visiting. Our free hotel shuttle service gets you where you need to go with ease. Guests appreciate quick, effortless access to Madison area hospitals, college campuses and athletic events, as well as Dane County Regional Airport and Madison’s popular visitor destinations. Start your day off right by enjoying downtown Madison’s most extensive free hot breakfast buffet including items such as: scrambled eggs, fresh breads, homemade sweet rolls and Danish, bacon or sausage, breakfast fries, hash browns, muffins, yogurt, fruit, cereal, oatmeal, French toast or pancakes, assorted Juices, hot coffee or tea. Located in the heart of downtown Madison and adjacent to the University of Wisconsin, the friendly award-winning Hampton Inn & Suites Madison/Downtown is within walking distance of shops, galleries, restaurants, museums, and nightlife. Stroll around the university’s attractive campus, shop on State Street, catch a sporting event at the Kohl Center, or spend time relaxing on Lake Monona & Lake Mendota. Hampton brand award winning hotel! Call to book, at 608-255-0360 and mention UW Madison SOAR Program’s corporate ID: 0003134381 with one of our Front Desk agents. Located in the heart of downtown Madison. Only 3 blocks from the state capitol, 5 blocks from famous State Street and within walking distance of the University of Wisconsin campus. All overnight stays include a full hot breakfast, Wi-Fi and complimentary transportation to/from the airport (7am – 10pm daily). or call 800-592-9809 and ask for the SRAO rate. Located on the shores of Lake Mendota, The Edgewater is just down the street from the Capitol Square, the heart of downtown Madison. We are within walking distance of State Street and its eclectic restaurants and shops. Best of all, we are located next to the University of Wisconsin-Madison, home of the Wisconsin Badgers. The Edgewater offers over 200 guest rooms, a community-focused plaza and pier, several restaurants and lounges, a luxurious spa, and extraordinary facilities for meetings, private events and weddings. The Madison Concourse Hotel and Governor’s Club is Madison’s premiere hotel. Located one block from Capitol Square, the best of downtown Madison is at your doorstep. We are steps away from the Capitol, State Street, museums, lakes, parks, live music, and dozens of bars and restaurants. Plus, we are less than one mile from the University of Wisconsin campus. The Madison Concourse Hotel and Governor’s Club features a fitness center, indoor pool, whirlpool and sauna. We also offer an in-house restaurant, bar, room service, and Starbucks. Join us at the Governor’s Club executive level and enjoy complimentary breakfast, top-shelf cocktails, hors d’oeuvres and desserts in a private lounge with a breathtaking view of the State Capitol. Airport transportation and wireless Internet are provided complimentary. Be our guest for SOAR at The Madison Concourse Hotel and Governor’s Club! Discount Available: 20% off our best available rate for SOAR. Visit https://www.concoursehotel.com/specialrates/soar or call 800-356-8293 and mention SOAR. The AC Hotel Madison Downtown invites you to experience the perfect blend of classic style and modern comfort. Born in Spain and perfected in Europe’s most sophisticated cities, our hotel concept is elegant in its simplicity, providing everything that busy guests need for a comfortable, tranquil visit. Modern European rooms and suites offer sleek design and amenities including glass-enclosed showers, free high-speed Internet access, and ultra-comfortable bedding. Prepare for your day with breakfast at AC Kitchen, where you’ll enjoy signature baked croissants, artisan cured meats, sweet & savory egg tarts and Nespresso Coffee. Indulge our unique tapas and innovative cocktails at our AC Lounge. Gasp in awe at the breathtaking views of Madison from the rooftop restaurant & bar – Eno Vino Wine Bar & Bistro. If you’re hosting a meeting here in Madison, you’ll be delighted with our hotel’s versatile venue spaces. 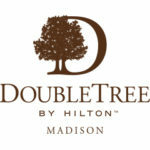 Madison’s most unique hotel experience is also its most memorable! Discount Available: 20% off Best Available Rate. Book at www.ncghotels.com/sales/badgerrate/. Located two miles from downtown, just off Highway 12/18, we’re easily accessible from all directions and offer complimentary parking to guests and meeting attendees. For those venturing to the downtown area, a complimentary shuttle is provided to the capital square as well as to and from the Dane County Regional Airport. With Madison’s many independent restaurants, music events, and fairs, you’re sure to find something new around every corner of our town…let us help you plan your next adventure! Each of our 239 well-appointed rooms and suites feature the Sheraton Sweet Sleeper™ Bed for a restful night’s sleep. All rooms feature a flat-screen television to help you kick back and relax at night or Starbucks™ coffee and Tazo™ tea to jump start your day in the morning. Refrigerators can also be provided upon request. Upgrade your experience to our club level with in-room enhanced amenities and club lounge access. Keep up your fitness goals by working out in the Sheraton® Fitness center featuring not only a variety of machines, but free weights as well. Cool off and have fun in our large pool, or unwind in our jetted hot tub. Discount Available: 20% Off Best Available Rate. Call our Front Desk at 608-251-2300 and mention the SOAR rate or use this booking link. Stay at the award winning Holiday Inn Express and Suites – Madison Central. This hotel offers a complimentary shuttle service to the UW Campus. Enjoy our complimentary Hot Breakfast buffet or unwind at our Welcome Reception; offering complimentary beer, wine and appetizers – Mon thru Thursday from 5PM to 7PM. Or call the hotel @ 608-709-5050 and request the UW Badgers Rate. Welcome to the AmericInn Lodge & Suites Madison West, Wisconsin. We know there’s no place like home, but the AmericInn Madison West will feel like your home away from home. Wake up each morning to our free, hot, home-style AmericInn Perk breakfast and enjoy appetizers, beer and wine each evening from 5:00pm to 7:00pm. Stay connected with free, hotel-wide, high-speed internet. Guests also enjoy our inviting, indoor pool and hot tub. 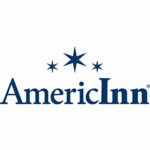 The AmericInn Madison hotel is conveniently located in western Madison, Wisconsin. As Wisconsin’s capitol city, Madison is rich in history and is located near an abundance of area attractions and activities. From the bustling Farmer’s Market to the beautiful Monona Terrace Center downtown, there is always plenty to see and do in this vibrant city. Also, don’t forget to ask about our Badger game day shuttle. The Howard Johnson Plaza Madison is a full-service, family-friendly hotel with several amenities to enjoy during your stay! We serve a complimentary hot breakfast buffet daily, are home to the largest indoor pool in Madison, offer a 24-fitness center, game room and Northwood’s Bar & Grill (on-site) is open daily at 5pm. Discount Available: 25% of best available rate. The Limited Time Offer of 25% off can be booked online at hojo.com or over the phone. Only 6 miles to the UW Campus, straight down University Avenue. This hotel features all suites with fully equipped kitchens, free WiFi, full hot breakfast, 24 hour pool, basketball, hot tub and fitness. On the bus line and local transportation available. We serve a complimentary light dinner Mondays through Wednesdays including beer and wine. Our laundry room is free to use and indoor secure temperature controlled parking is too! Located in the quaint historic downtown Middleton neighborhood, guests can easily walk to cafes, shops, post office, museums and more. Find everything you expect from a great value Madison hotel and a few extras you just might not. Our promise to you is a comfortable guest room or suite with free WiFi, a clean and fresh Hampton bed® with a handy lap desk, separate work desk, and 32-inch flat screen TV. Start your day with Hampton’s free hot breakfast or one of our free Hampton On the Run® Breakfast Bags, available Monday to Friday, for a quick, healthy meal to go. Get to work at the business center and host meetings in our meeting room or boardroom. Take advantage of the great facilities for exercise and fun at our Madison hotel including indoor pool, whirlpool, volleyball net, and kids play area. The hotel is conveniently located just a few miles from the Alliant Energy Center and the University of Wisconsin Madison, making it the ideal accommodation for visitors to these venues. Discover great shopping at West Towne Mall and find several great restaurants within a five mile drive of the hotel. This Madison hotel is close to several business attractions including Epic Systems Corporation, CUNA Mutual, and the UW Research Park. Discount Available: 20% off Best Available Rate. Booking Link: www.ncghotels.com/sales/badgerrate/ . Enjoy the comforts of home at the Homewood Suites by Hilton ® Madison West hotel. Each suite in our Madison hotel features a fully equipped kitchen with refrigerator, microwave, two-burner stove and dishwasher. Enjoy a home-cooked meal at your kitchen table. We can even shop for your groceries before you arrive and deliver them to your room. Find plenty of space for work, study or entertaining in your spacious studio or suite. Relax in your separate living area with sofa bed and work desk. Watch a premium channel or DVD on the flat-screen TV and keep in touch with complimentary WiFi. Discount Available: 20% off Best Available Rate. Booking Link: www.ncghotels.com/sales/badgerrate/. Courtyard Madison West/Middleton is one of the most convenient Madison hotels located on the city’s west side in Middleton, WI. This Diamond Award-winning hotel in Middleton, is one of the top 10% Courtyard hotels in the world. As one of the perfect hotels near downtown Madison for business or leisure, we are just minutes from Greenway Station, University of Wisconsin, Kohl Center, Alliant Energy Center and Madison’s new Overture Center for the Arts. Ideal among Madison West hotels, we are near major companies, such as American Girl, Epic Systems, CUNA Mutual, Fiskars, Electronic Theatre Controls, Mead & Hunt, Spectrum Brands and Springs Window Fashions. Enjoy complimentary wireless and wired high-speed Internet access in every guest room and throughout the hotel’s public spaces. Wake up to a delicious breakfast at the Bistro restaurant. In the evening, sink into a comfortable chair while enjoying a dinner and a beverage in the Bistro Bar at Courtyard Madison West/Middleton. Our West Madison, WI hotel offers 133 guest rooms and suites, featuring comfortable beds, complimentary WiFi access, spacious desks and ergonomic chairs. Prepare microwaveable popcorn in your room and enjoy a cold drink from the mini-refrigerator. Savor a cooked-to-order breakfast at The Garden Grille & Bar. Order room service for dinner and relish a dish from Johnny’s Italian Steakhouse restaurant. Unwind with a drink from the Pavilion Lounge or relax in your room with a microwaveable meal from our Pavilion Pantry®. Consider hosting a meeting or banquet in our event rooms, with space for up to 275 guests. Ask about WiFi and our catering services. The Residence Inn Madison West hotel is worth experiencing! Located on the westside of Madison, this hotel is within walking distance to Greenway Station – a shopping & dining district, and a short drive from downtown Madison – including University of Wisconsin, Kohl Center, Alliant Energy Center and Madison’s Overture Center. This West Madison hotel is convenient to major companies such as Epic Systems, CUNA Mutual, American Girl and Electronic Theatre Controls. All suites have fully equipped kitchens with full-size refrigerator, stove, microwave and coffee maker. High-speed wireless Internet in all suites and lobby make it easier to get your work done. Start your morning off with a complimentary hot buffet breakfast with a variety of healthy and indulgent options. As you head out for the day, leave a grocery list at the front desk, and return to find your suite cleaned and refrigerator stocked with groceries. In the evening, stop by The Mix for some tasty samples and beverages on our outdoor patio with fire. Enjoy the ideal location of the Hampton Inn Madison East Towne Mall Area hotel, right across the street from over 120 popular shops and restaurants in East Towne Mall. This hotel is only a ten-minute drive from Madison’s vibrant downtown, the State Capitol and the University of Wisconsin-Madison. The attractions in Madison span from architecture to sporting events and great theater. Conveniently located just three miles from Dane County Regional Airport, the hotel is also close to several businesses, such as Oscar Mayer, American Family Insurance and Covance. Admire the beautiful lakes of Monona and Mendota, just eight miles from the hotel. Enjoy comfort with value at our Madison, WI hotel, offering a full package of great amenities delivered with a personal touch. We guarantee a warm and inviting stay with free WiFi access, a clean and fresh Hampton bed®, Hampton’s free hot breakfast, and a free fitness center. Catch up with work at the 24-hour business center or unwind after hectic days with a dip in our indoor pool and whirlpool. Staybridge Suites Madison would be delighted to host you during your travels to Madison! We offer a daily hot breakfast buffet plus we have an evening Social on Mondays, Tuesdays and Wednesdays from 5:30pm to 7:30pm with complimentary dinner, beverages, beer and wine. Parking, laundry, and high-speed wireless internet are complimentary as well. We just completed a full renovation on our all suite hotel that is sure to not only meet, but exceed your expectations! Discount Available: 15% discount off of best flexible rate. Please ask for the “UW Madison SOAR” rate. The Award Winning Fairfield Inn & Suites by Marriott Madison East in Madison, Wisconsin awaits you. This Madison hotel is located within one mile of over 150 shops and restaurants and is just a hop, skip, and a jump off Interstate 90/94 and from the Dane County Regional Airport. The hotel is just minutes from downtown Madison, University of Wisconsin, Kohl Center, Covance, Alliant Energy Center and the Overture Center. The Fairfield Inn & Suites by Marriott is convenient to major companies such as American Family Insurance, US Cellular, QBE Americas, GE Healthcare and Alliant Energy. At the Fairfield Inn & Suites Madison we offer complimentary high-speed internet, and you can enjoy a complimentary hot breakfast, featuring scrambled eggs, waffles, and oatmeal. Every guest room includes a well-lit desk, coffee maker, hair dryer, mini-refrigerator, iron and full-size ironing board. The new state-of-the-art lobby at Courtyard Madison East hotel provides greater flexibility and choices for our guests with inviting, flexible spaces to work, socialize and entertain. Free Wi-Fi throughout and easy access to the latest news, weather and local information via our GoBoard. The highlight of our new lobby is The Bistro – Eat.Drink.Connect. providing guests with healthier food and beverage options in the morning along with your favorite Starbucks coffee; and evening dinner service with your favorite cocktail. The Market, a 24/7 shop for snacks, beverages and sundries, is always open for late-night cravings or the toothpaste you forgot. Courtyard by Marriott Madison East in Madison, Wisconsin is just minutes from East Towne Mall, downtown Madison, University of Wisconsin, Kohl Center, and Alliant Energy Center. The Courtyard by Marriott is convenient to major companies such as American Family Insurance, Kraft Foods/Oscar Mayer, US Cellular, GE Healthcare and Covance Labs. Feedback, questions or accessibility issues: soar@studentlife.wisc.edu.